I'm fishing multiple tournaments in multiple states on big water in 2017. 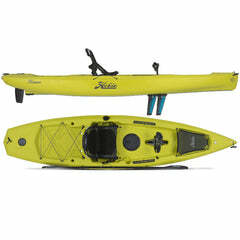 This drove my decisions on how to rig my kayak. 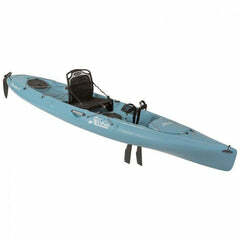 Having good quality tools in a good quality kayak is important in kayak fishing tournaments. When picking accessories for my Pro Angler 14, I thought about the most important things that can help me win the tournament. Having the right tools is important during national kayak fishing tournaments, but these accessories also improve my results during leisure fishing on my home Minnesota waters. Fishing big river reservoir ledges is a must do at tournaments. Those bigger female bass hang out there year round, briefly leaving to venture shallow for the spawn. 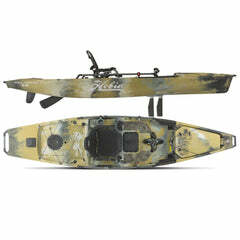 Finding fish on very specific spots in 15 to 25 feet of water is no easy task without good electronics. 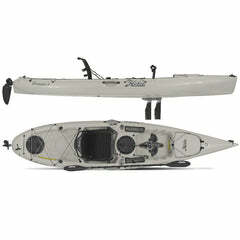 To do that, I've chosen the Lowrance 7Ti total scan unit. 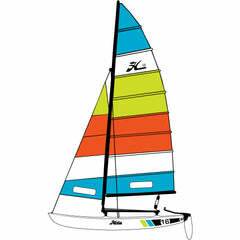 This features side scan, down scan, GPS and traditional sonar. 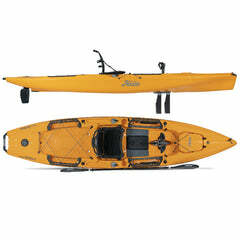 The side scan allows you to see left and right of your kayak to help eliminate water quickly. Once you find a good school of fish, you simply mark a waypoint on the included GPS map. Having a bigger screen will show better details when scanning the bottom, that's very important when fishing deep water ledges. 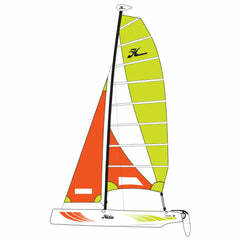 Hi Tempo offers a Hobie wiring kit that includes water resistant hull caps for the wires to run through the hull wall, while keeping them bundled and dry. Powering your sonar with the sealed lead acid battery and battery mount keeps everything clean, efficient and organized. It also comes with a quick attachment for your battery charger. 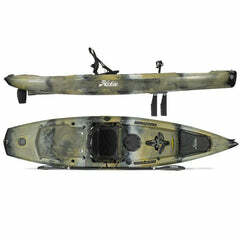 Hobie has really outdone themselves to make things easy for the angler! The H-create not only offers a big secure space to hold my tackle bins but comes standard with 4 rod holders and bungee straps. The H-rail system on the crate offers a multitude of different ways to mount accessories as well. I've mounted the Ram 1inch ball to the rail so I can run my camera on a Ram mounts flex arm to record my day. You can also move those accessories to the H-rail sides that come standard on the PA line, with no drilling or gluing. The 4 vertical rod holders allow me to quickly grab a different pre-rigged rod easily. Add in the 2 standard flush mount vertical rod holders and the six horizontal rod storage tubes and I can bring plenty of rods to chase trophy Bass. 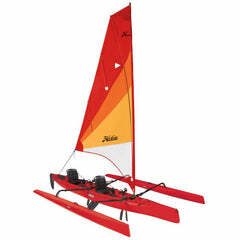 The Hobie H-Crate is engineered for functionality and versatility. Hobie has a set of wheels for every situation. Even if the launch is loaded with people launching boats, I can park in the lot, load up and walk everything to the water. There's no need to walk back to the truck and lock up the wheels. The on board storage holds the wheels securely in place while I'm out fishing. Simple yet efficient, that's why I picked up the heavy duty wheel cart for the PA14. 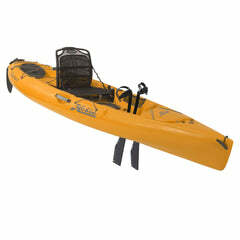 Check out the great accessories offered by Hobie when purchasing or rigging your kayak. Being clean organized and efficient has made me a better angler. I can focus on the fishing and not worry about faulty equipment. 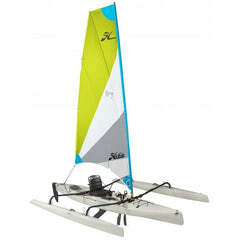 That leads to more time on the water, less time fixing in the garage.